In Jewish tradition, the Bar Mitzvah (for boys) or Bat Mitzvah (for girls) is a coming-of-age ceremony and celebration, an event of major significance in the life of a family and community. 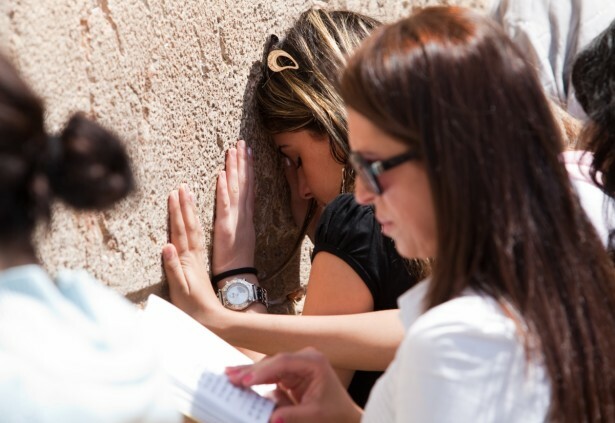 Operated by the Israeli Ministry of Education, the Bar/Bat Mitzvah Jewish Education program provides children from disadvantaged backgrounds with the opportunity to study Jewish religious and historical subjects, culminating in the celebration of their Bar/Bat Mitzvahs at the Western Wall in Jerusalem. The program consists of classes on Jewish heritage, Jewish history, and the responsibilities of young adulthood; visits to synagogues; and volunteering and contributing to the wider community. It targets children in boarding schools, most of whom are either new immigrants from the Former Soviet Union or Ethiopia or veteran Israelis from families with socio-economic difficulties. The program has been growing annually: in its first year, approximately 1,400 young people participated, whereas more than 2,500 do so currently, and the instruction has expanded to a full-year program of learning. Since the Foundation has been involved, the program has helped more than 17,000 young people, who would otherwise not have the chance to do so, to study and celebrate their religious coming-of-age.